It’s Thrusday again which means it’s Tip Thursday on my Facebook Page. 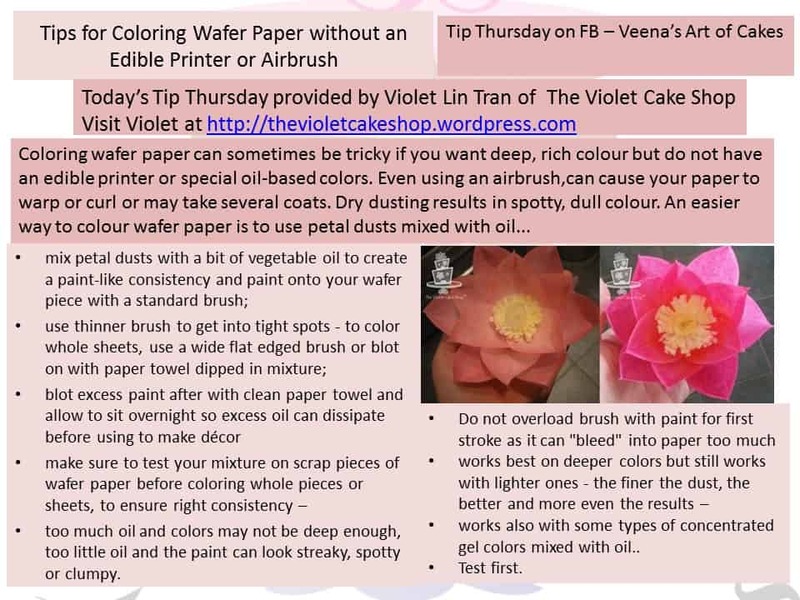 Today’s Tip Thursday has been contributed by my lovely friend Violet Lin Tran of The Violet Cake Shop. too much oil and colors may not be deep enough, too little oil and the paint can look streaky, spotty or clumpy. works also with some types of concentrated gel colors mixed with oil..
Great tips! The petal dust mixed with the oil works like a dream. This is a great help. Thank you. 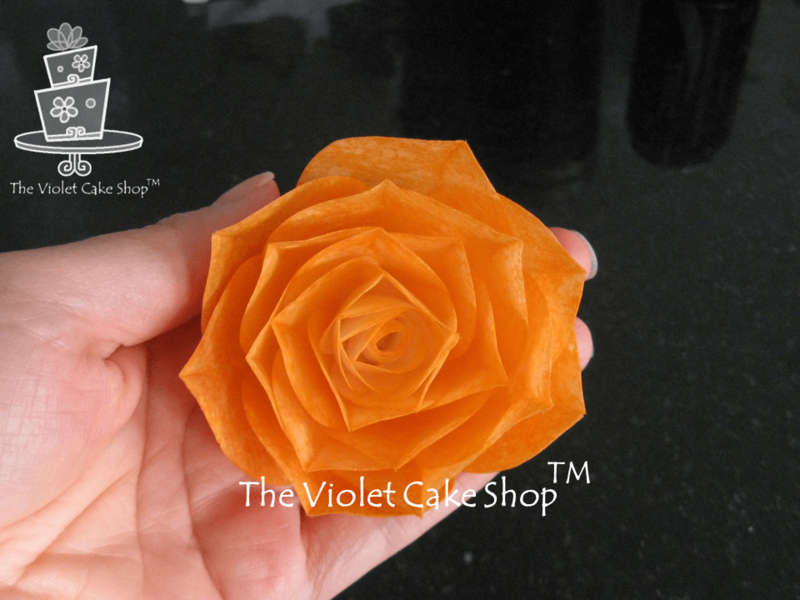 I was wondering if, after you use this method, could you then put the sheet into an edible printer to print on top of the base color?